By law you need to keep your industrial premises up to the required specifications; keep your property safe by contacting our specialist industrial electricians. 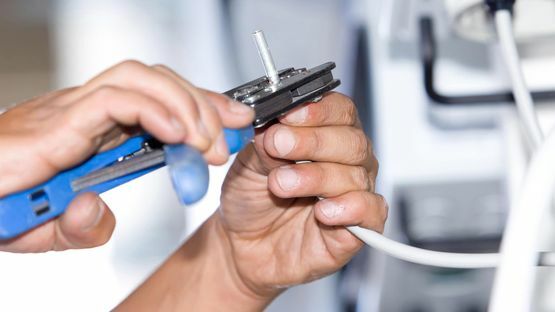 Here at Daybrook Engineering Services, based in Nottingham, Nottinghamshire, our technicians are able to provide you with high-quality industrial electrical services whenever you need them. From hospitals to manufacturers, we provide our dedicated services to all aspects of industry. If you’re industrial site does not meet current codes and specifications, you could be open to fines and prosecution. Keep your premises safe by contacting our skilled technicians. Our stringent and up-to-date practices are ideal for you, wherever you are. From simple check-ups through to fault-finding, you can avoid catastrophic incidents with the help of our team. Contact us, in Nottingham, Nottinghamshire, to consult our industrial electricians on our industrial electrical services.